This was taken last September, actually, but it’s still reasonably accurate. There’s still very little there, considering what once was. 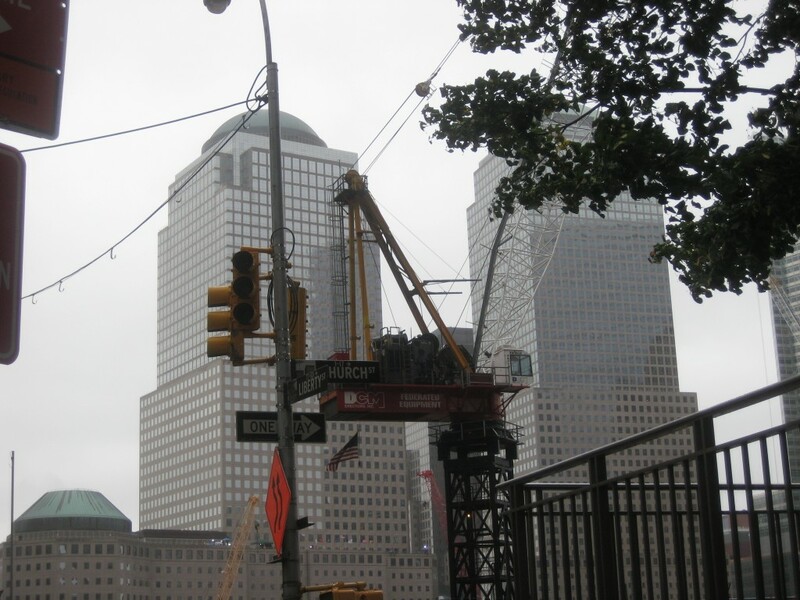 The former director of USC’s writing program, Jim Ragan, wrote a poem called “Church and Liberty,” after two of the streets that intersected around the World Trade Center. Imagine no religion. It’s easy if you try. No Hell below us, above us only sky. I will be avoiding that area today. Too many “9/11 Truthers” and people protesting a mosque planned for a site several blocks away.